A lovely welcome from Maria and Viktoria. Everything was perfect. Great villa, just out of town but just a five minute stroll to get there. The villa was really comfortable and homely. Exceptionally clean and well equipped. We liked everything about this place. From the host Maria,a warm friendly greeting. A local who’s knowledge of area was fantastic and all her recommendations were helpful and spot on! On arrival an unexpected touch, she had available a bottte of wine and cross ants complimentary. Our first impressions of the villa was gorgeous! Tastefully designed, huge and CLEAN! Kids and husband super pleased with my choice. Travelled with kids. There was a swing and sea saw, hammock and grass area that kept them amused. Kids even enjoyed picking fresh mulberries from the tree! Locatie, rust, ruimte. Haven met restaurantjes en winkeltjes op loopafstand. Tutto! Accoglienza calorosa e attenta, Maria, è stata un'ospite fenomenale, spazi interni ampi e ben curati, giardino con dondolo in legno che davano davvero la dimensione di vacanza! A 5 minuti di macchina dal porto, al quale volendo si arrivava anche a piedi. Consigliatissimo!! La villa Victoria est une vraie villa qui regroupe 2 logements très chouettes avec terrasse, proches du cœur de Sivota et à l'écart des tumultes touristiques. Geräumiges Appartement mit voll ausgestatteter Küche. Erstversorgung mit Lebensmittel und Getränken beim Einchecken. Große Terrasse mit bequemen Sitzgelegenheiten (viele Polster). Herrliche Lage mit wunderbarem Ausblick über einen Teil von Sivota. Ruhige Lage und doch nur 5 - 7 min ins Zentrum. Sehr nette Gastgeberin!! Vřelé přivítání, připravené vychlazené nápoje, prostorný pokoj. Très bel établissement confortable et chaleureux. A 5mn à pieds du centre ville de Syvota et situation idéale pour rayonner sur la quinzaine de plages superbes de la localité. Maria, l'hotesse de la villa Victoria est charmante et s'est montrée très disponible et de très bon conseils. Grande terrasse très confortable pour les petits déjeuners, déjeuners et diners, douche extérieurs pratique en rentrant de la plage et balançoire pour les enfants dans le jardin! Merci à Maria pour son acceuil et l'excellent séjour que nous avons passé à la villa Victoria grâce à elle! το studio ηταν εξαιρετικο. δεν θελαμε να φυγουμε. πεντακαθαρο, ανετο, με ολες τις ανεσεις και σε ηρεμη τοποθεσια, μονο 5 λεπτα με τα ποδια απο το κεντρο. η κα. μαρια ηταν πολυ ευγενικη και μας εκανε να νιωσουμε σαν το σπιτι μας. σιγουρα θα ξανα ερθουμε! Το καλύτερο καταλυμα που έχουμε πάει,η κυρία Μαρία προθυμη να βοηθήσει σε όλα,μας πληροφορησε για τα πάντα (φαγητό,παραλίες...),όλα τέλεια,μεγάλους χώρους,καθαριοτητα...το συνιστω ανεπιφυλακτα....Ευχαριστουμε την κυρία Μαρία για τις όμορφες μερες που περασαμε! 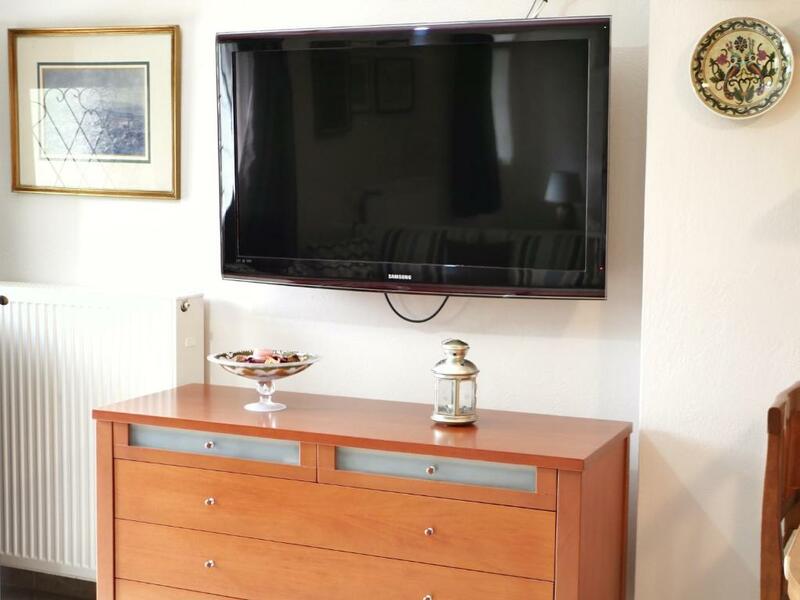 Lock in a great price for Villa Victoria Boutique Apartments – rated 9.7 by recent guests! 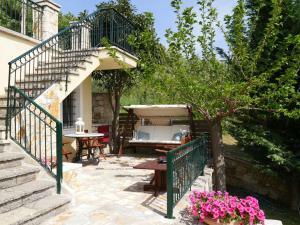 Villa Victoria Boutique Apartments is located in Syvota. 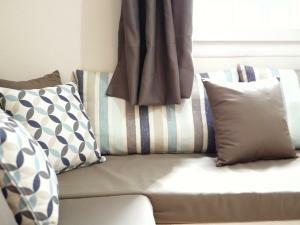 It offers self-catering accommodations with views over the garden and provides free WiFi access. The beaches of Syvota are just a 5-minute drive away. Apartments will provide you with a TV, air conditioning and a seating area. There is a full kitchen with an oven and a refrigerator. Featuring a shower, private bathroom also comes with a hairdryer and bathrobes. The village center of Syvota is 0.6 mi away featuring many seaside taverns and cafes. The port of Igoumenitsa connecting to the island of Corfu is 12 mi away. Free private, on-site parking is available. 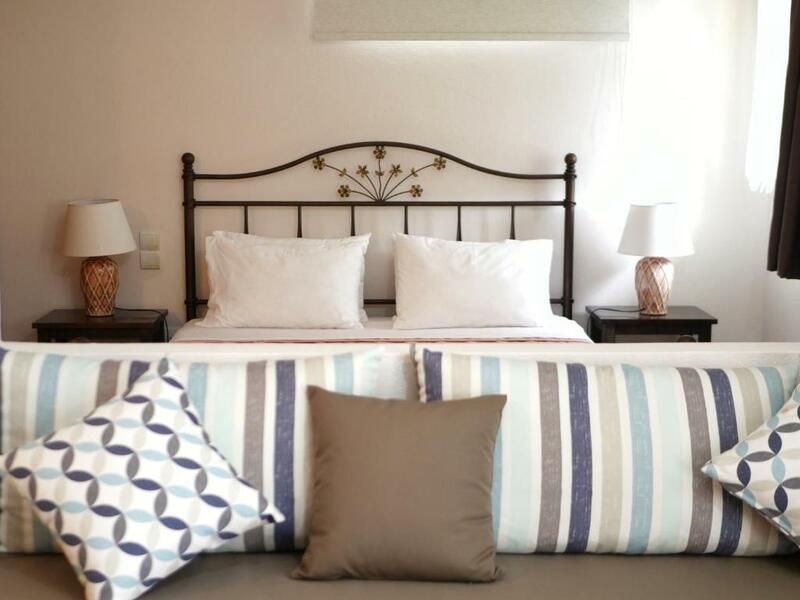 When would you like to stay at Villa Victoria Boutique Apartments? Featuring a furnished terrace with garden views, this air-conditioned apartment offers free WiFi access. 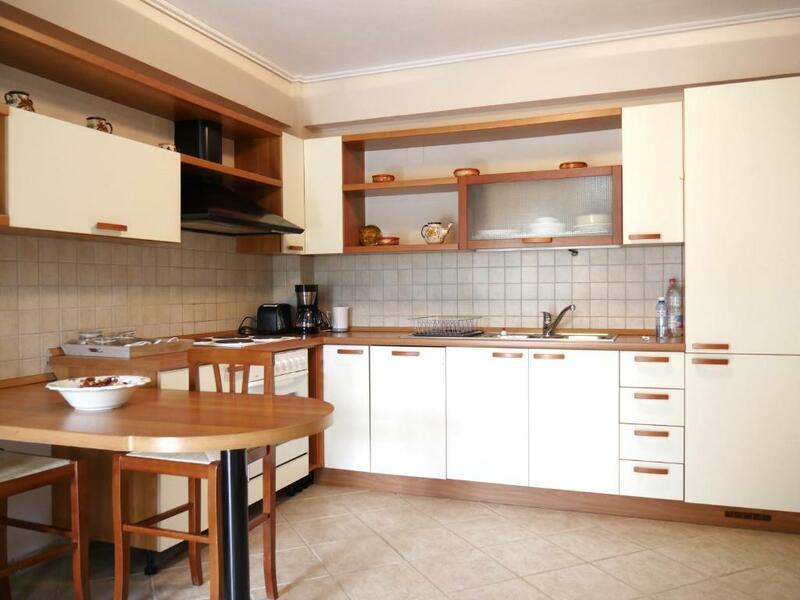 This studio has a oven, private entrance and flat-screen TV. Villa Victoria Boutique Apartments was designed to offer you, your home in Sivota. We believe that summer vacations should be more about the traveler, their experiences, moments and memories created. Thus, we focus on hospitality and making you feel like a local, so you can explore Sivota and its surroundings effortlessly. 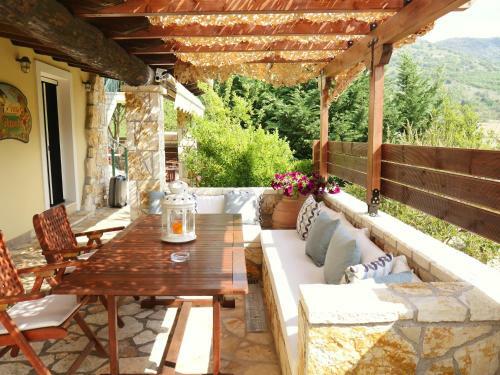 We are within walking distance from most bars and restaurants, while being away from the noisy streets offering you your sanctuary, in Sivota. 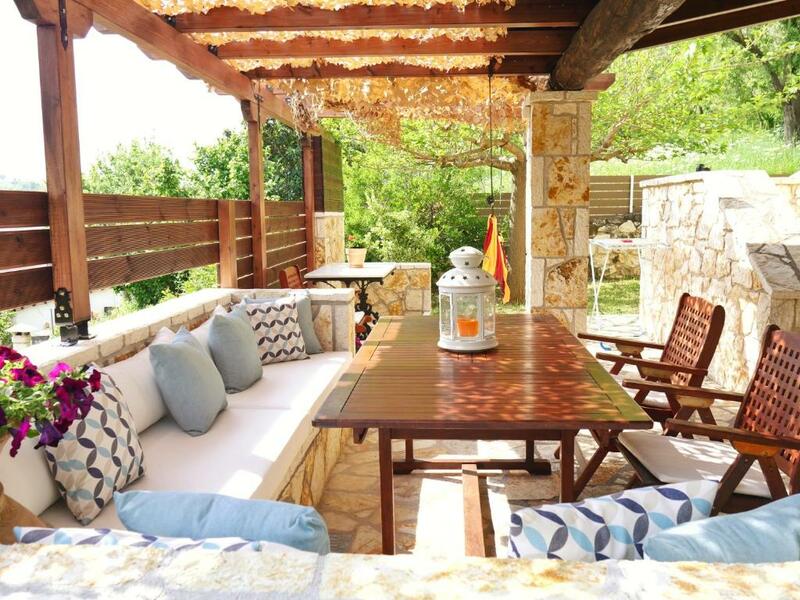 Each apartment has its own private furnished terrace, in our gardens, where you can enjoy your morning coffee or a nice bottle of wine at night. If you visit us in June/July, you could even pick your own berries, and have them for breakfast. The interior was designed to provide you with the amenities you would need, while staying true to the local character, incorporating folk elements to its decor. If something draws your eye, feel free to ask us! Villa Victoria Boutique Apartments is run by Victoria (the daughter) and Maria (the mom). Victoria will be your booking com reservation guru, while Maria will be your super-host and all-things-Sivota champion! Anything you need, prior to your arrival, we are simply an email and/or telephone away (FaceTime, iMessage, Viber, WatchApp). Once you're in Sivota, simply ring the bell (or call us) and we'll show up! House Rules Villa Victoria Boutique Apartments takes special requests – add in the next step! Villa Victoria Boutique Apartments accepts these cards and reserves the right to temporarily hold an amount prior to arrival. Please inform Villa Victoria Boutique Apartments of your expected arrival time in advance. You can use the Special Requests box when booking, or contact the property directly using the contact details in your confirmation. There is nothing negative I can say about our stay here! Everything was perfect.